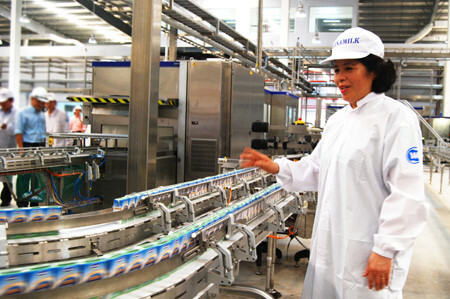 Vinamilk topped the 2016 Forbes list of the 40 most valuable brands in Vietnam with a value of US$1.52 billion more than double second ranked Viettel at US$752 million. Vingroup at US$279 million placed third trailed by Sabeco at US$247 million in fourth followed by FPT and Vietinbank at US$171 million and US$147 million in fifth and sixth, respectively. Seventh, eighth ninth and tenth places went to Vietcombank at US$135 million, Masan Group at US$126 million, BIDV at US$125 million and Vietnam Airlines at US$78 million.